It seems that Activision, the biggest video game publisher in the world, wasn't exactly thrilled with the Wii U's launch. Why? 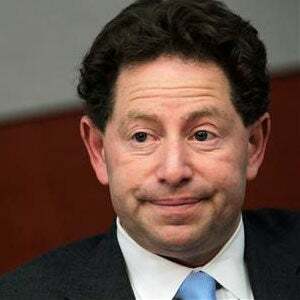 Forget Call of Duty's performance, it's the console's potential for Skylanders that has Bobby Kotick and co. worried. During the company's latest earnings call, Kotick was asked about the future of the money-printing Skylanders franchise, specifically about the breakdown of install bases between the existing consoles. He replied "we were somewhat disappointed with the launch of the Wii U. We're concerned about the install base for 6-11 year-olds." Considering publishers are usually coy when making public statements about platform holders, that's a surprisingly blunt assessment of the console, albeit one that must be supported by numbers or... he wouldn't have said it. What a strange world we live in, where a major publisher is worried that a Nintendo console isn't selling with kids.